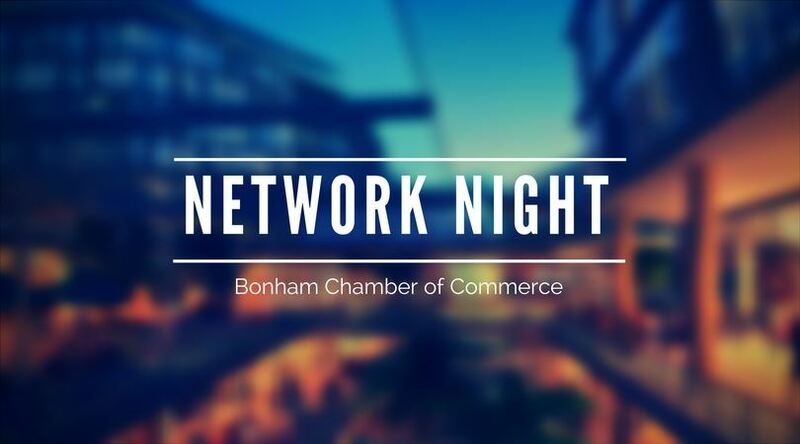 Don't forget the Bonham Chamber Network Night on April 21, 2017 from 5 - 7 pm at The Creative Arts Center in Bonham. Great food and wine will be available for all. Relax and enjoy the company of friends at the Bonham Chamber Network Night all in conjunction with the Creative Arts Center Red River Art, Wine and Music Fest kick-off reception.